Is Solar Energy A Good Resource for Your Business? and installing solar systems has taken a downfall. This has resulted in an increased sale of solar systems. understand how solar energy makes sense to the business. applications and installing these Commercial Solar Solutions in Ontario can turn into good savings. A lot of businesses do not get the solar panels installed thinking that it is a costly investment to make. years to cover the expenses made for a complete solar systems in Vaughan. worry about the performance. They can easily rely on the products as satisfaction is confirmed. It might seem to contradict at first because getting a Solar Panel Installation in Ontario will demand a good money investment. However, once it is done, solar power will save you huge bucks. This is because it is unusually cheap to use. In fact, you do not even have to pay the electricity bills anymore. Additionally, there’s more value added to your property and it will serve you good if you plan to sell your home. As mentioned already, once you switch to using solar panels, your dependency on electricity offered by the utility providers becomes zero. When rest of the society is facing a blackout, you can still light up your house using the energy from the solar panels. As long as the sun rises, you have your source of energy available. The stored amount of solar power keeps you good even on the cloudy days. Going solar is one of the steps that you can take to help Mother Nature preserve itself. When most of the advancements made are deteriorating the environment, switching to solar energy is one change made in environment-favor. These compelling reasons support the decision of every resident who wants to switch to solar energy for homes in Ontario and around the world. We at New Dawn Energy Solutions can help you take the right foot in the proceeding. IS SOLAR PV SYSTEM IN COLD AND SNOWY CLIMATES WORTH THE INVESTMENT? One question people often ask is whether purchasing a PV system in cold and snowy climates is worth the investment. With low temperatures and snow, how could a solar power system produce electricity? Though these are reasonable fears, experience has shown that winter solar is not as problematic as it first appears. Many would be solar panel owners are switched off by the thought that snowfall and cold temperatures reduce the potential output of their solar arrays. While it is true that snow build-up can hamper a panel’s ability to produce, this dip in output is only significant in systems installed on low slope roofs and only during winter months. But the concern about efficiency of panels in the cold temperatures is unfounded. In fact cold temperature improves panel efficiency; PV temperature reduction of about 20°C leads to a 9 to 12% increase in electrical yield. Even in the case of the low slope roofs snow build up could happen only during the winter months during which sun angle is also low. Due to this solar PV production is lower during winter months regardless of roof slopes. On the other hand sun hours during summer months are longer compared to tropical locations hence production during our summer months is high compared to other locations. During winter months snow on the ground tends to reflect the sun’s light back upward. This reflected light, hits angled panels, adding to the direct light from the sun and help to increase energy yields. These two effects in combination can result in higher output from panels on a clear snowy day than the average summer day when one would expect output to be highest. Even after factoring in the snowy cold winter months, a solar power installation will undoubtedly help curb a consumer’s annual energy bill. With net metering most of potential solar PV system owners can produce the entire amount of electricity they use in a 12 month period from solar regardless of the cold snowy climate in Canada. In fact many of our past customers’ solar PV systems are generating more electricity than they use. As the storage prices are coming down we have even started working with people who want to opt for off-grid and be entirely free from the grid. As the electricity price increases and aging utility infrastructure become more problematic this number will increase substantially. At New Dawn Energy Solutions we custom design the best possible solar power systems to suite your needs. We are looking forward to working with you to find the best possible solution for your needs; feel free to contact us at info@newdawn-es.com / 416-855-9377 to see how we can help you to take control of your energy cost. Solar energy has invaded the real estate business. In increasing numbers, home buyers and homeowners everywhere are seeking solar power for their single family residences. if you’re a homeowner or a home buyer, knowing the benefits of solar power and the value of solar panels can help you decide whether or not solar energy is right for your home. Residential solar energy is clean; solar panels produce no waste or greenhouse gases to generate power for your home. Solar energy is cost efficient enough that many people who have solar power can actually sell power back to the grid, so they can make money on energy they don’t use. Solar energy is improving all the time, so homeowners who install solar panels on their homes today can take advantage of the most up to date, efficient systems. In addition to the above benefits, solar panels can actually add to a home’s property value. When a home goes on the market, home buyers commonly seek solar energy and are attracted to sustainable, efficient homes. In the coming years, there will likely be many changes to the solar industry, most of them for the good of the homeowner. Solar panels are becoming easier to install and more cost effective. These low prices make it easier to make solar energy a part of your household. In addition, solar panels are shrinking in size, so modern homes can benefit from smaller panels that generate and store more energy. As this kind of feature becomes more desirable, builders cannot ignore the demand. This makes solar energy more accessible to general homeowners and helps shape homebuyer expectations. 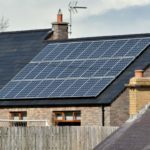 As solar becomes more accessible and prevalent on residential structures, this type of energy will also be a common expectation of home buyers seeking new properties. Is Solar a Good Investment for a New Or Custom Home? Solar panels can affect the value of a home in different ways in different parts of the country. However, on most properties solar panels can have a big positive impact on the value of a home. In general, it’s believed that solar power can increase your home’s value by as much as $15,000 or $20,000. 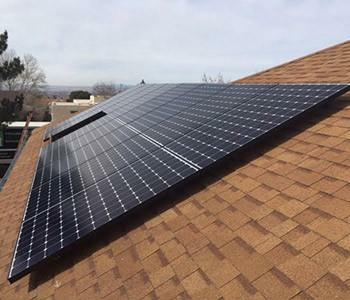 Solar panels are best installed on a roof that is structurally sound and in good condition. Trees, tall buildings and other shade-generating features in the landscape can affect your home’s ability to generate solar energy. 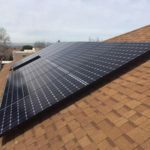 Homeowners concerned about the aesthetic impact of solar panels can consider solar shingles, which are designed to be integrated integrate into a home’s normal roofing. Choosing a reputable contractor is important for ensuring that your home will get the most benefit from solar panel installation. A good contractor can ensure that your home’s solar panels are installed properly to maximize solar energy output. A good contractor can also ensure that solar panels are installed safely without damaging your roof. With the prospect of fossil fuel-based energy crises and human induced climate change looming, the demand for renewable energy technologies like solar power is growing. Unfortunately, there are currently many myths which hold solar power back from reaching its full potential. We are here to dispel some of these. Read on to find out more, and check out LEDwatcher.com for comparison of different solar lights. Actually, solar panels are capable of supplying plentiful energy even in colder environments and those with high cloud cover. Developments in solar panel technology and battery and storage systems, mean solar power can be effective in all climates – some examples of countries where solar is already meeting a sizable proportion of the population’s energy requirements are the UK, Germany, Italy and China. As a matter of fact, solar panels are becoming more and more affordable all the time as uptake increases and technology and production methods improve. Over the last decade or so the average solar panel costs have fallen by about 60%. It is now almost cheaper to generate electricity from solar panel than it is from coal – particularly when you factor all the external and hidden costs of fossil fuels into the mix! In many countries, there are government tax credits and other financial incentives encouraging the uptake of solar panels by making them more affordable to the average households and businesses. In addition, in many countries, if you happen to generate solar sourced electricity beyond your own requirements, you will actually be paid for feeding the excess back into the grid. Actually solar panels are pretty straightforward to install so long, that is, as you are utilizing reputable, reliable manufacturing and supply companies. You may actually receive a government credit or discount for choosing certain companies to help you install your panels. Furthermore, most modern solar panels are constructed in a way that they are able to withstand rugged weather conditions, and are quite easy to clean whenever any dust, grit, snow etc does find its way on them. One exception: if you have a battery-based solar system, it will be a bit more work to maintain. This is another blatant myth! Actually solar panels will protect and preserve the parts of your roof that they cover. The panels can also be easily removed and then replaced if the underlying roofing happens to be damaged and needs repair. Actually, in a lot of cases having solar panels mounted on your roof will enhanced the value of your home. Numerous studies have found that homes with solar panels sell FASTER than those without, and fetch a better rice also. 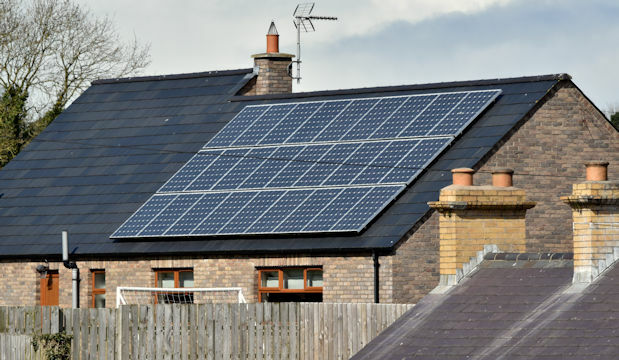 In particular, where the installation of solar panels on a home’s roof is accompanied by feed-in tariff schemes and the like – where you get paid for generating solar power – this makes the home even more appealing to prospective buyers who would also reap the benefits of the scheme. Coal mining can never be ‘clean’, despite all the recent talk about ‘clean’ coal. Solar will always be a more environmentally friendly energy option than coal. In fact, once solar panels reach the end of their life cycle (about 40+ years), most of their components can be recycled. Some companies will even take them off your hands for you and recycle them for free. The IESO announce that it will only accept Mico FIT applications until 11:59 p.m. EST on December 28, 2017, or until the final 50 MW Annual Procurement Target is reached, whichever is earlier. If the Annual Procurement Target be reached before December 28, 2017, the IESO will immediately stop accepting MIcro FIT applications. It further said that applications submitted to the IESO prior to or on the date on which the IESO stops accepting applications will only be reviewed if capacity becomes available in the Annual Procurement Target by December 29, 2017. And applications will continue to be reviewed in the order that they are received. It also said, any application that is not allocated to the Annual Procurement Target (i.e., any application that has not been set to Pending LDC Offer to Connect status) by December 29, 2017, will be terminated and the applications that have achieved Pending LDC Offer to Connect status will continue to be processed. So if you are thinking to participate in the Micro FIT program you should act immediately and submit your application at the earliest as only two weeks window left. We can help you get your application in successfully in a timely manner, do not hesitate to contact us. While North America is anxiously waiting for the solar eclipse, the solar energy industry is very cautious about the event. Power plant managers and electricity system operators in North America are cautiously preparing for this event when the moon passes between the earth and the sun. An eclipse is caused by the alignment of the earth, the moon, and the sun. It’s a relatively rare occurrence because the moon doesn’t orbit in the same plane as the earth and sun. However, when all three line up, the moon covers up the disc of the sun, and those in the direct path of the moon’s shadow will be able to see the sun become dark. August 2017 solar eclipse in its totality will last for about two minutes and 40 seconds. The effect of this total solar eclipse will turn the day into the night. Eclipses have happened before but this eclipse is happening at the time electricity generation from solar and wind are exceeding electricity generation form other tradition sources such as hydro, coal, nuclear, and so on. 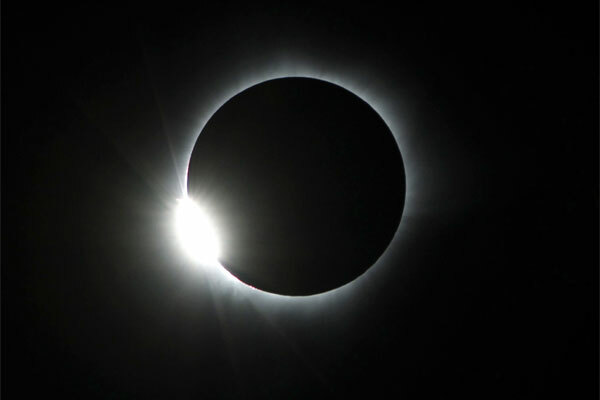 During the solar eclipse, electricity generation from solar power plants will drop to zero and electricity system operators have to match this drop with electricity from other sources such as gas, and hydro to keep the electricity grid stable and to provide electricity to customers during this short period. Furthermore, when the solar eclipse come to an end, solar plants will suddenly start pumping huge amount of electricity into the grid and electricity system operators must react to these changes in a timely manner to keep the electric grid stable and to provide electricity to their customers. Even though Electricity system operators reach out to “peaker” power plants to smooth out swings from solar and wind on a regular basis on a much smaller scale the sudden drop and jump in demand for power from the grid due to eclipse would be much larger and raises worries about overburdening a system that will already be running at a summer peak. This eclipse is happening at an interesting time when solar power plant capacities in many countries are increasing steadily. This event also will expose us to many unknowns and will help to make the solar power plants more robust and stable in years to come. We are confident that when we pass through this event we will have more experience, data and confidence that are necessary to make solar energy main stream.